While it might stretch the belief of many, there are perhaps thousands who no longer need to eat solid food, and a few who do not need to drink, even water. Having met a number of such souls in the himalayas along with some experience in this my self, I feel that the time is ripe to bring this forth. Is this not a demonstration that the reality we live is much more than skin deep. While most who have developed this ability remain quiet and reserved, reflective of their journey on the spiritual path, a few have embodied the courage and strength to hold this sensitivity in the public eye for the benefit of inspiring others. Ray Maor is a down to earth, practical kind of guy, and as such many can relate to him. This interview might bring up as many questions as it answers, and hopefully bring credence, or at least crack open the door of acknowledging this wonderful possiblity of life. Virochana Khalsa: What is your definition of being a Breatharian? 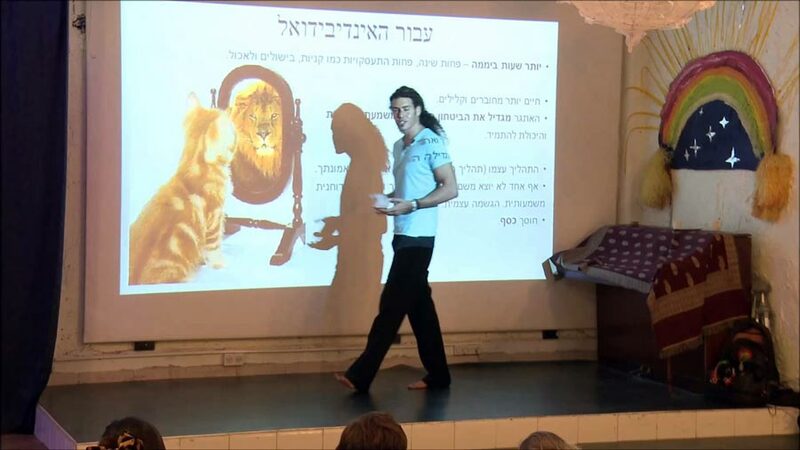 Ray Maor: A Breatharian, unlike most people think, is a person that uses mostly energy as his primary source of energy. This is the reason why a Breatharian does not feel hunger or thirst. A Breatharian can eat or drink if he chooses to and most Breatharian I am familiar with do eat or drink, only in small quantities and not out of a necessity. They will mostly eat or drink for social situations like being with the family or on holidays. Virochana Khalsa: Please tell us a bit about how becoming a Breatharian has nourished your spiritual unfoldment and realization? Ray Maor: If life is a journey created of different levels of understandings and spiritual development, and we are always moving forward in a specific speed, than becoming a Breatharian has increased my teachings, understanding and comprehension of our reality at an incredible speed and has allowed me to stay in this speed. I had a gradual “wakeup” process right after my Breatharian initiation and the immediate sensation was one of feminine energy, of tolerance, compassion and an open heart. The other immediate sensation was one of a reduced ego. A deeper understanding of oneness in everything. I understood “the game” better and I began to connect with my higher self, allowing it to take more charge of my life and reducing the thinking patterns of “future events” and “past events” and focusing on the present moment. If life is a journey created of different levels of understandings and spiritual development, and we are always moving forward in a specific speed, than becoming a Breatharian has increased my teachings, understanding and comprehension of our reality at an incredible speed and has allowed me to stay in this speed. I had a gradual “wakeup” process right after my Breatharian initiation and the immediate sensation was one of feminine energy, of tolerance, compassion and an open heart. The other immediate sensation was one of a reduced ego. A deeper understanding of oneness in everything. Virochana Khalsa: While some in this process have become very thin and ethereal, you appear to have maintained/regained a sense of physical strength and grounded practicality. Is there something you would like to say about this? Ray Maor: There are several reasons for that. First is that every person comes into his reincarnated body with a certain amount of “energy”. I have more than the average as my primary soul path is to be a teacher and represent that spirituality and materialism can be joined together and are two aspects of one thing – such are many aspects of our polarity existence. The second reasons is that after a year in which I have not eaten and only drank a little bit, I have learned my lesson. The active body of the western person does require some physical nourishment unless the individual is actually living a completely stress free life and closer to nature. Being a Breatharian I noticed that I feel much better in nature but in the city, where I live and work, I noticed I am susceptible to different not necessarily positive energies. Once I got back to eating once in a while I felt that my body is reserving everything that I have eaten as if it was keeping it for later. I understood it is asking for a new balance and there for what I teach is how to open the pranic engine to a high percentage. I have noticed that most Breatharian do not actually want to stop consuming anything completely, they really just want to be independent of food and open the energetic channels. Some want to experience non-eating for prolonged periods like me, but most still don’t want to go “all the way” as one might say. In the beginning I did that for a while, I saw that I lost weight for a while until it completely stopped and I stayed the same weight, but my physical body was much thinner, knowing that it didn’t require preserving fat. I had energy, but not as much as before. My spirit was really high! The sensation was amazing, but it made me understand that there is a great difference between not taking anything at all or just taking a little bit. I started using both engines, focusing mainly on my pranic engine but not completely neglecting my digestion system. Today I eat two or three meals a week, sometimes not at all and sometimes snack if I wish. I feel free and happy and don’t try to be as extreme as I needed to be in the beginning of my journey, where my lesson had to be learned and mastered so it could be taught to others. I haven’t felt the sensation of hunger or thirst for about three years now and my body is always clean of toxins, as I put so little into it. The third reasons is that I started exercising much more. This forced my body to create more muscle tissue and take in more Prana. I also trained my thoughts to take in energy in every breath. My life is usually very peaceful and happy and I’m not “fighting” the perfectness of the world. This immediately creates more energetic nourishment for me. 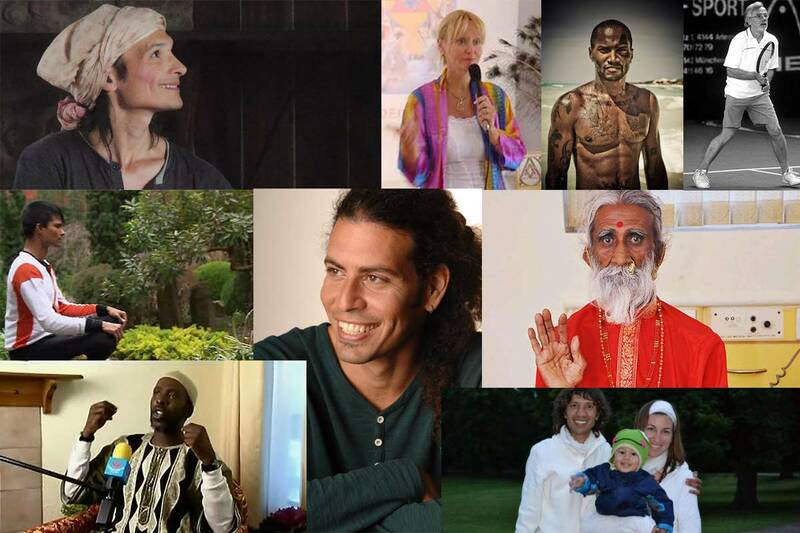 Virochana Khalsa: Are there beings on the inner that have helped you in this unfoldment? 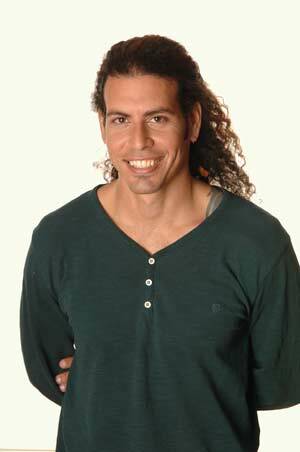 Ray Maor: I am very connected with my higher guidance, the Breatharian lifestyle called out to me in my meditations and in some ceremonies and I understood immediately that it is a part of what I’m supposed to become. During the process, I believe that other energies assisted in the transformation, as it is a part of the process’s contract and I felt them. Each person that goes through the process elevated the frequency of himself and the human race, so it is “guided” and “monitored” by higher energies. I wish to clarify that I am not a channel or a spiritual “weirdo”, I am a very well balanced young man that has served 5 years in the IDF and hold a consultant position. I have a 17 year career as a computer programmer and I have taken my research into the spiritual world. I have researched deeply every subject I went into and have decided to dive into the Breatharian life style out of personal and scientific reasons. Only after I understood how amazing it can be for many others, especially now that the new world frequencies are already here and many are beginning to wake up to their true selves. Victor Truviano of Argentina who has not had food or water for 9 years and has regrown his teeth. Jashmeen of Australia. Jenesis Sunfire of London. Michael Werner of Germany. Kirby de Lanerolle of Sri Lanka. Ray Moar of Isreal. Prahlad Jani of India who has not eaten or drunk anything for 70 years. Elitom El-amin of Ohio, USA. Ricardo and Camlia of Ecuador - Camilia has had two children including nursing them as a breatharian. Virochana Khalsa: After actualizing this understanding within yourself of no longer needing physical food for your survival, has there been times that doubt has come back, for example in the face of challenges? Ray Maor: I wouldn’t call it doubt as much as continuous mind games. The thought energy of the general population keeps you doubting because most cannot really grasp it. So their own disbelief or lack of understanding can get to you. The doubt has came to my mind in the first year a few times, but after the proper adaptation time it disappeared. Virochana Khalsa: Do you have a desire, or see a purpose, for yourself in being able to live for a substantial time, for example months or years, without liquids, such as water? And if so, do you believe it can be done while maintaining a connection, participation, and service to society? Ray Maor: I had that desire in the past. I searched the reason within and understood that it is a desire derived from my spiritual ego, the one that wants to be special and not from an altruistic reason for providing the world with more evidence of wonders and by that continuing the spiritual quest of so many others. Since it was derived from my ego, and since my ego was reduced significantly I no longer have this desire. 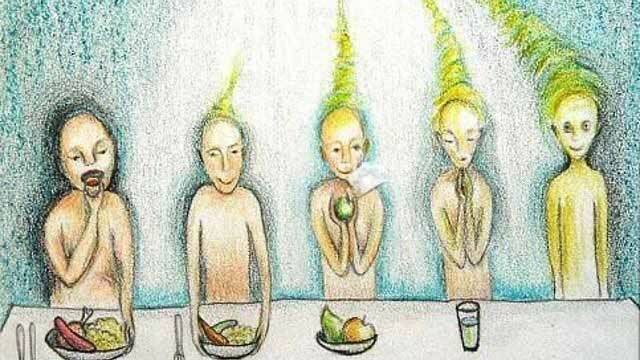 The process of becoming a Breatharian that does not drink water is a difficult one for my own DNA. It has to do with the humidity in your surrounding environment (because the body learns to take the water from the air when we breathe and from the skin) and your previous lifetime experiences with it. I have checked with Bashar and he has told me that it would be extremely difficult and painful for me, and for most of the population. He said that I can do it, but not as easily as my current lifestyle choices. Virochana Khalsa: How important is the ‘will’ in achieving this, and do you have some words of wisdom as to cultivating this direction and when to bring that will into a resolve? Ray Maor: It is less of will and more of dealing with the initial doubt or fear. The 10 day process I teach takes care of the doubt because it is gradual, scientific & spiritual oriented and teaches the most important thing – after the process how to deal and integrate this knowledge into our lives. The initiation process sets the participant in a physical change and a mental (belief system) change. They will is set in the date they know they are going to participate and they already start feeling the changes as they echo from their future selves. It’s pretty wicked! Some participants already come to the process after not feeling hungry for a long time. Generally will is required, but the participants are the type that “hear the calling” immediately as they know about it, they think about it, sometimes they dream about it, and since they are in a certain “energetic vibration” they already know they need to go through with it. So their will will be there naturally. Virochana Khalsa: Do you have some tips to give to our readers, for those who might feel that this is their path or at least are open to the possibility? Ray Maor: Oh yes, I have many tips \ advices to provide all who seek this knowledge. First – you can read my book, it is called “a year without food” and you can find it on Amazon. You can also watch a through YouTube video I did on the subject that explain more about the process. Like many things in life, sometimes before we do it it seems to be out of reach, but after we do it, it becomes normal to us. There are more people that have balanced their Breatharian lifestyle today than ever before on planet earth. There are many light workers (such as most of the readers) that already understand that when they gave up meat and started eating more healthy, they had more energy, more compassion, more connection with spirit… So they already know what is down the road, there is no need to continue to experience the gradual process of Vegetarian -> Vegan -> Raw food -> Fruitarian -> Liquidarian… You can just jump to the end and become a light eater. Have no fear of “not eating again”, most Breatharian still eat, but it become about a game of flavor and independence. Have no fear of “change” as any change we make is for our own development and getting rid of the absolutely deepest and longest addiction we have in life opens up challenges and changes in ways one cannot even begin to describe. To eliminate more doubt, you can also watch online the first successful western world Breatharian experiment documentary I volunteered to do where I have not eaten or drank for 8 days on television and under scientific observation (blood tests). The link is here. It helps to see that it exists and the way that the show host and the doctors view it. Virochana Khalsa: For those who are inspired in this way, and willing to do the steps, how important is it to meet and spend some time with someone who has fully actualized this ability? Ray Maor: That is not required, there are enough videos, articles, TV shows about us. You can feel the vibration of a person when you view them online. If someone has signed up for the process, has done his research and still has questions to ask, he can contact me directly at maorray@gmail.com. I will be happy to answer any new questions. Virochana Khalsa: What is your understanding of breathlessness, its cultivation or awareness, and its relationship within you on a daily basis, perhaps as an inroad to living beyond the need for physical food? Ray Maor: There are 3 levels of energetic nourishment. I am at the top level of the first. As we understand nourishment, we understand that most people will only think they are nourished from food. But there are different levels of nourishment. The first is food – without food a person will die after a month (unless they went through a process like described above). The second level is water – according to science most people will die after 3 to 4 days without water. The last level is air – only a few minutes. So the individual can teach his body to change his first level from food to energy. Then there are 2 in the world right now that have also taught their body to change the second level from water to energy. And your question talks about the third type, which have taught their body to transmute the third level to energy. I have never met one so it is extremely rare. In deep meditations I notice that I only breath 2-3 breaths a minute and I have heard about Yogi’s that take that many breathes in an hour, so I know it is possible, but definitely not my rodeo. I was meant to be a bridge between the spiritual and the materialistic world, between the logical and the abstract, this is why I remain where I am and explain some of what I know to those that can understand it. If I would continue going higher and higher, I would disengage from the world and live by myself in nature. Since I understand it is not what is needed from me, I chose to stay “grounded” LOL. Virochana Khalsa: I have noticed that some people with this ability of living without food bring forth a rejuvenation of the body, such as re-growing hair, teeth, and appearing dramatically younger, while others place little importance on this. Do you have thoughts in this regards? 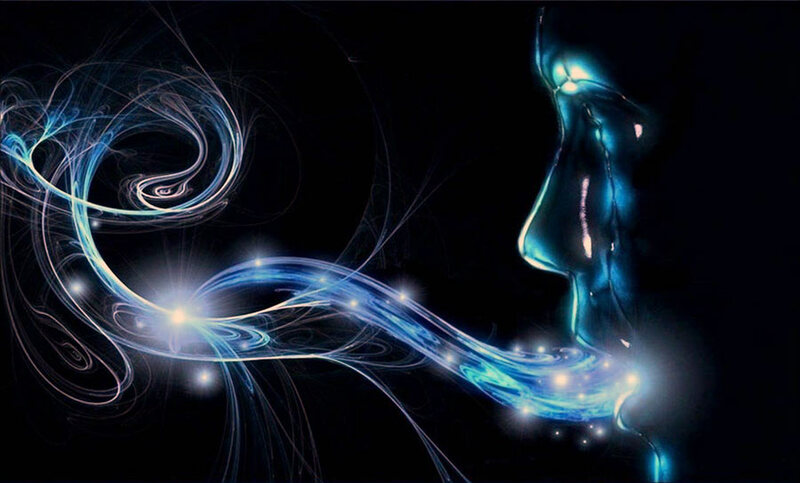 Ray Maor: For each his own, spirit does what it needs to expand it’s awareness in the form of the Breatharian frequency. 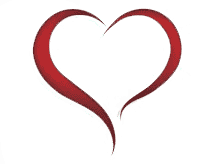 The stories vary between Breatharians. I have some statistics from people who I’ve taught and I see each has a different experience from the other. There are general guidelines. We all feel better, we all sleep less (some more and some really less), and some look younger. There are too many other variables consider to really answer this question thoroughly. Virochana Khalsa: How does your partner relate to you being breatharian? Ray Maor: I have had different partners. Some loved the idea, some did not so much. Some did not like the fact that I “eat” less than them… LOL. It becomes an immediate diet so some woman like it, since the frequency makes people around you also feel satisfied. In my last relationship I did not have much support and felt pressure to eat from her, since she felt unease for eating alone most of the time. Some people can really understand the lifestyle and some cannot, it is not to be understood by everyone, not at this point in the global awakening process and even after that, it won’t be the future of all, just those who seek it in their journey. I am proud of being one of the pioneers and only guides in the world that teach the process in the balance of the four bodies, I think this brings a great shift in our understanding of who we really are. At the age of thirty one Ray has decided to take a huge leap of faith by going through a 21 day fast \ pranic initiation that changed his life forever. He is the inventor of the 10 day process – the perfect Breatharian initiation process for those who seek to understand more about themselves and their origins. Ray currently teaches his process and other workshops in different countries, focusing mainly on Europe and USA.